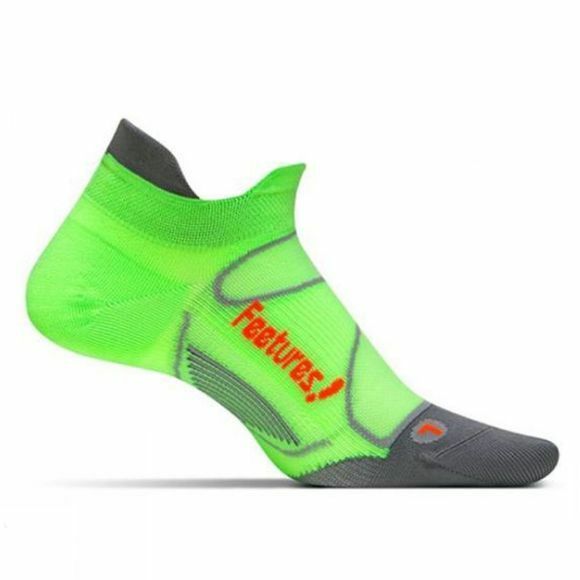 The Feetures Elite Ultra Light No Show Tab is an technically advanced sock. The Elite socks are anatomically constructed using Sock-Lock technology to provide targeted support where it's needed most. This allows the foot and sock to become one. The Power Arch delivers targeted compression where it's needed most.